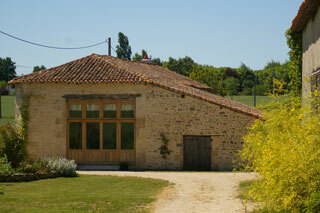 Vienne Gites, Cottages, Villas and holiday Homes for rent direct from the owner. Le Petit Chapel. Chaunay, Vienne. Le Ferme des Chataigniers, Les Chaumes, Vienne. Tastefully restored cottage with private heated swimming pool (12x6m) set in 4 acres of gardens and woods. Prices from; £450 to £600 pw. 2 Bedrooms, Sleeps 4. Changeover Saturdays. Superb stone built cottage sleeping 4 in two double beds.With a pool near Civray,Poitou Charentes. Prices from: £420 to £530pw. Detached Stone house in quiet rural location with Heated swimming pool. Gites and cottages in the Vienne Department. Click on an image to go to owners website.